CHANCERY HOUSE FEATURES ATTRACTIVE CONTEMPORARY APARTMENTS THAT REPRESENT AN EXCELLENT INVESTMENT OPPORTUNITY. Chancery House is a prestigious boutique development offering a wonderful blend of period architecture with modern interiors for the discerning occupier. This sensational building consisting of 9 modern apartments allows the chance to own a piece of prime central London with the best of what London has to offer on its doorstep. 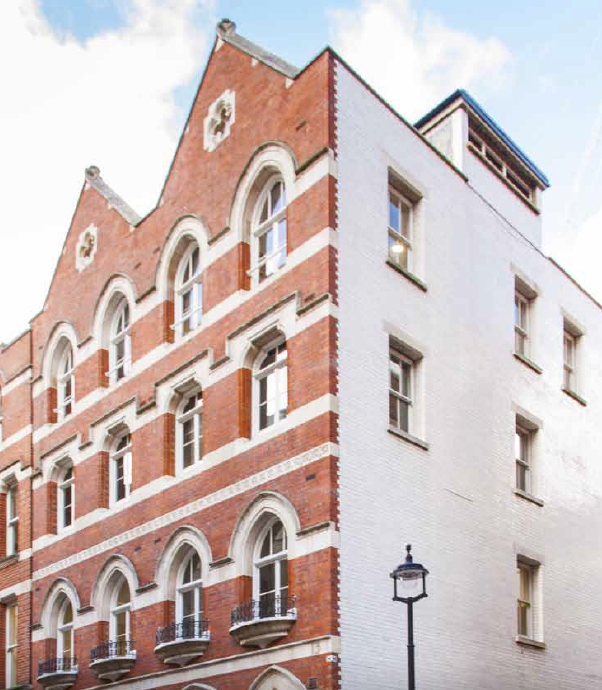 Retaining the period Façade Chancery House is a lavish boutique development with high quality fixtures, fittings and finishes that will deliver excellent performance and require minimal maintenance - ideal for modern day living. This exclusive duplex apartment is on the ground and lower ground floor. This 2 bedroom apartment is only of two apartments situated in the Urban House building within Chancer house Residence, offering 1700 sq ft of living space comprising a spacious double height ceiling living room, a open plan kitchen and dining room with contemporary fully fitted kitchen to include granite worktop, AEG appliances, a master bedroom with en-suite bathroom and a further bedroom and bathroom. An utility room for plenty of storage and store vault. Finished to a high specification. The development is perfectly situated; living in Holborn means you’re never far from the very best London has to offer, with West End at your doorstep, moments from the shops, restaurants, the tourism spots and entertainment venues. A fifteen minute walk south brings you to Victoria Embankment where you can stroll along the Thames and to the east lies the City of London.